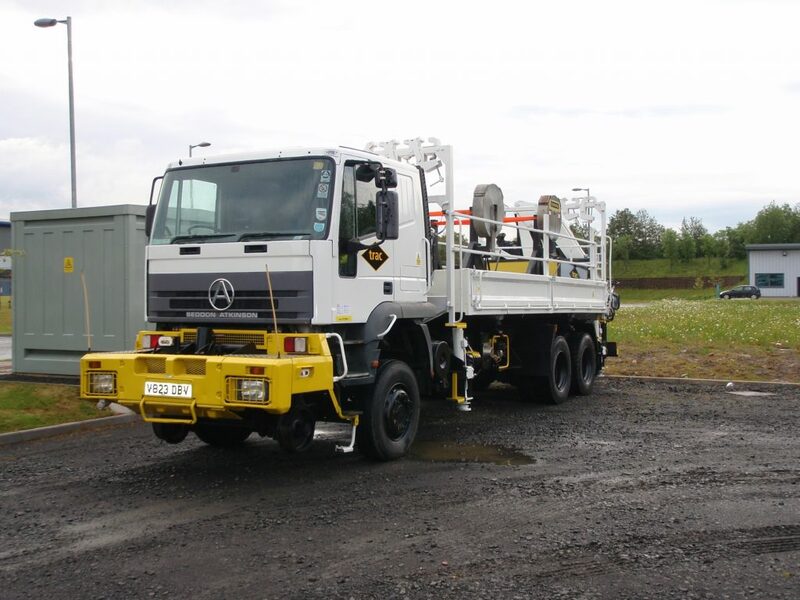 The Seddon Lorry is a multifunctional platform for a variety of rail mounted duties. The base machine can be equipped with a flatbed body with 2-way tipping controls, or a variety of other modular bodies such as Drum Carriers. The crane has hydraulic fittings to the end of the arm, allowing it to run hydraulic attachments such as rail beams, clamshells and pincers. Rails can be loaded by the crane and transported on site on the rail carrier frame which holds rails over the base.